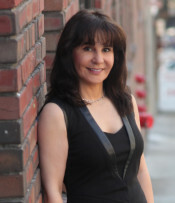 Dr. Izadi is a quadruple board certified medical doctor with over 25 years experience in variety of settings from top medical centers where she had the most advanced technology to the war zones where her stethoscope was her only tool. She is board certified from American Academy of Anti-Aging and Regenerative Medicine, American board of Integrative Medicine (American Board of Physician Specialties) American Board of Pediatrics (American Board of Physician Specialties), American board of Holistic Integrative Medicine as well as multiple certifications from Age Mangement Medical Group, Stanford University (in Genetics and Genomics), Certified fitness center. She is a center physician at Cenegenics in San Francisco, CA and has her Aesthetic Medical practice in Menlo Park, CA. I was a board certified pediatric hospitalist working mainly in intensive care unit at Baylor College of Medicine. Since conventional medicine failed to help me with my own medical issues, I started searching for other modalities and was successful in treating myself. My goal is providing all different modalities with scientific support to all my patients. combining conventional medicine with all other modalities in a personalized and precise medical practice provides more than one way to help patients. Looking at the root cause of each problem and help patients to resolve it. Evaluating each patient as a whole person with mind, body and spirit and applying all different modalities provided in Integrative and regenerative medicine as well as age management medicine to help them. Earning health and happiness that they deserve by changing their life style , healthy eating habits and programmed exercise along with hormonal optimization. Appropriate supplements and herbs would be helpful as well. I am using the latest lab tests to help diagnose and treat patients. Genetics will be an important part of medical practice in future and we all should prepare ourselves with the knowledge to interpret the results and explain it to patients who are seeking for the information. In general we need to prepare ourselves to overcome the obstacles that aging brings to our lives. With preparation we all can have the best quality of life and enjoy longer life span as we stay active and productive throughout life. Managing the environmental toxins is another big issue that we need to take care of it before it is too late. Considering the fact that all major universities such as UCSF, UCLA, Harvard, Mayo Clinic started adding Integrative medicine fellowship and teaching medical students about the principle of Integrative/ regenerative/ personalized medicine, I can clearly see that what we fight for it today will be the main stream medicine in 20 years. For those who don’t have time to wait for 20 years ( such as myself) it should be available to whoever needs it today.